Strains of praise music filled the sanctuary while God’s people raised their voices in adulation and reverence. Yet I stood–motionless, unmoved, and angry. Lord, help my unbelief. I can’t see your plan in his pain…his struggle…his loneliness. Why him? Why my son? This child-man bore the brunt of another’s sin. It lay heavy and unshakable on his soul like the weight of a yoke forced upon the shoulders of a helpless slave. Pressing and unrelenting– its sharp splinters were a constant reminder of the burden he carried. This morning–surrounded by smiling faces offering praises to the One who gave me the joy of mothering this blue-eyed son–my heart rebelled. And I ached to have an answer…a reason…some reassurance. When the pastor shared his illustration it was as if Christ was speaking to me alone–simple words penetrating a mother’s hardened, grieving heart. What did he say? You probably understand. Maybe you’re in the same place today–wondering, unsure, and asking for faith. Trust Him, dear friend. He sees you–and yours. Was peace an illusion? F or years, my haunted heart yearned for its calming balm. Christ promised His followers, “Peace I leave with you; my peace I give you. I do not give to you as the world gives. Do not let your hearts be troubled and do not be afraid” (John 14:27) But the tears scattered across my people and the anguish twisting my stomach evidenced a complete lack of peace… How I longed to claim that peace as my own! I’ve come to understand that, in many ways, peace is something Christ offers but we have to choose it. His perfect peace is available, but in order to claim it we must lay down our troubles and fears. 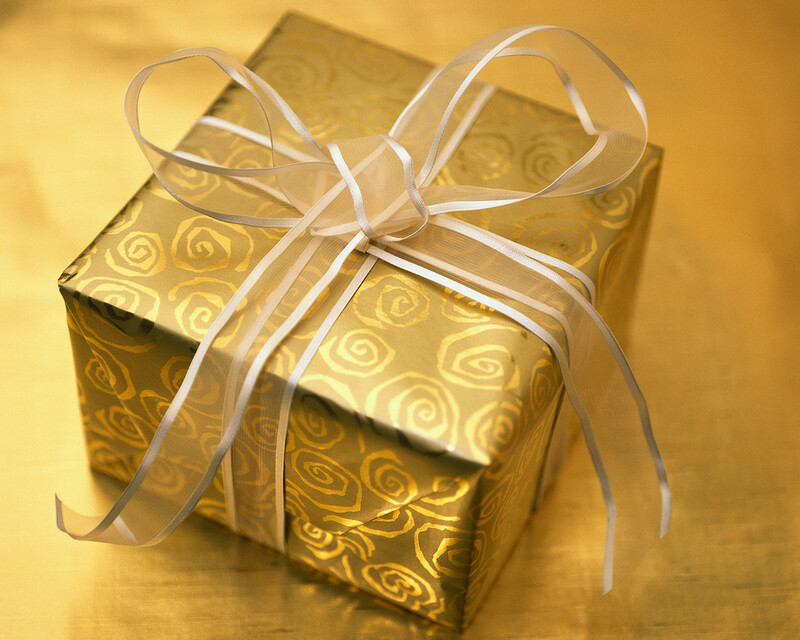 It’s as if a beautifully wrapped gift has been placed at our feet–waiting to be unwrapped. When we clasp today’s worries tightly in our arms–refusing to give them up–it’s impossible to pick up that which we have longed to take hold of. So…today I’m going to drop the heavy burden at His feet. Instead, I’m going to trust Him to deal with those worries. I’m claiming His peace this morning. Will you, too, dear friend? Action step Create a list of all of today’s concerns, worries, and burdens. Give each one in prayer to the Lord and throw the list away. Meditate on Isaiah 26:3 throughout the day when your peace begins to dwindle. Call me a doubting Thomas, but I never believe Colorado’s weathermen. The Farmer’s Almanac, my son’s makeshift barometer, and grandma’s arthritic fingers all prove more accurate than local predictions. Fortunately, God’s word is far more reliable and trustworthy than the Weather Channel. Unlike the storm threatening on the horizon, He is unchanging—a source of protection and love in every season of our lives and through any circumstance. Friend, remember that whether you are in the midst of the storm or basking in the sun, God remains constant. As Psalm 18:2 says, “The Lord is my rock, my fortress and my deliverer.” He stands ready to offer His strength. Why not find refuge in the Rock today? The words drifted from the cars’ speakers as I pushed the dashboard button. I smiled, agreeing inwardly. I remembered all of the dreams I had of being that sort of mother, too. My goal wasn’t lofty. Angry words? Never. Consistency of discipline? Always. Great attitude? Every day. You may have guessed…I haven’t come close to living up to my ideal. I’ve regretted words, failed to know how to discipline, and feel overwhelmed or irritated on a regular basis. Do you relate? In my shortcomings, I’m reminded that God is the perfect parent. His love never fails (1 Corinthians 13:8). If I rely on His word, turn to Him for understanding, and trust His direction for the children He has given me then I can give up the idea of parenting perfectly. I’ll do my best and trust that God–the One who is perfection–is working in their lives despite and through my imperfection.